Unity "Hakone" Matte Black Tetsubins Teapot/Wood Stove Humidifier. 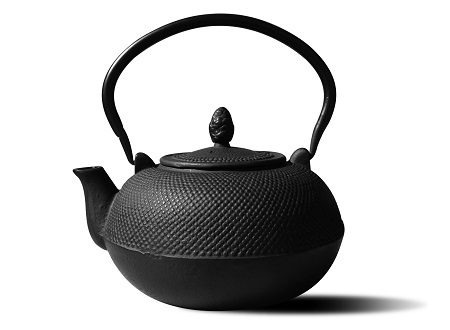 The "Hakone" Teapot is an elegant Cast Iron Tetsubins teapot inspired by highly prized Japanese antique teapots still in use today. Its large 3 liter capacity and robust construction makes it uniquely suited for use as a wood stove humidifier, as well as its traditional use of heating water for tea. The enamel lined interior makes it rust-resistant and easy to clean.